But, the trailer of Sultan will be different as per the latest news. The makers of this film are on the different path. As per the sources, Sultan movie trailer will give preference to Amit Sadh and Randeep Hooda, who have an important role to play. Ali Abbas Zafar has directed the movie. It has been shot primarily in Uttar Pradesh, New Delhi, and Mumbai. It is all set to release on Eid 2016. 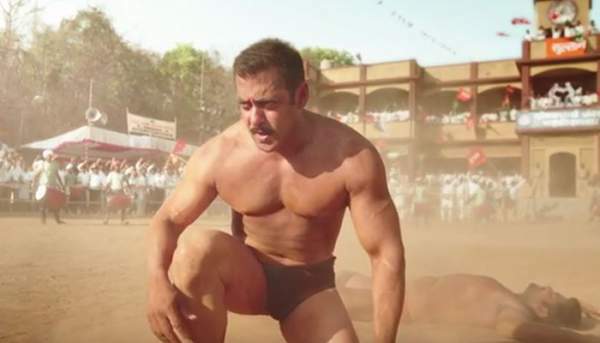 Ahead of the Sultan trailer launch, Salman Khan has released a video in which he is asking everyone to watch the first-day first show of the Sultan theatrical trailer. Listen to his Haryanvi accent. He says the following. First look kaisa laga? Woh sirf menu thha. Ab…ke kaive hain angrejji mein…appetijer ki baari hai. Main aaoonga 24 May ko, Extra Innings T20 par Sultan full trailer le kar. First day first show zaroor dekhna. Yash Raj Films (YRF) is going to release it on Sony TV’s Extra Innings T20. We will update the Sultan official trailer at the earliest. Don’t forget to share. Stay tuned to The Reproter Times.